I'm fascinated with constellations! I like to imagine that are indigo gardens in the sky, secret and floral, that make every constellation more brilliant and unique! 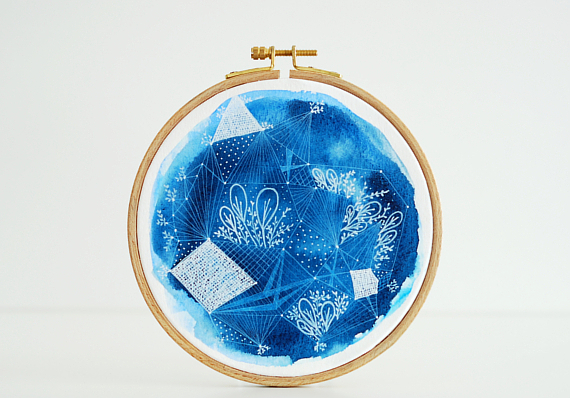 If you also love them, you will like my new Constellations gardens hoop art.